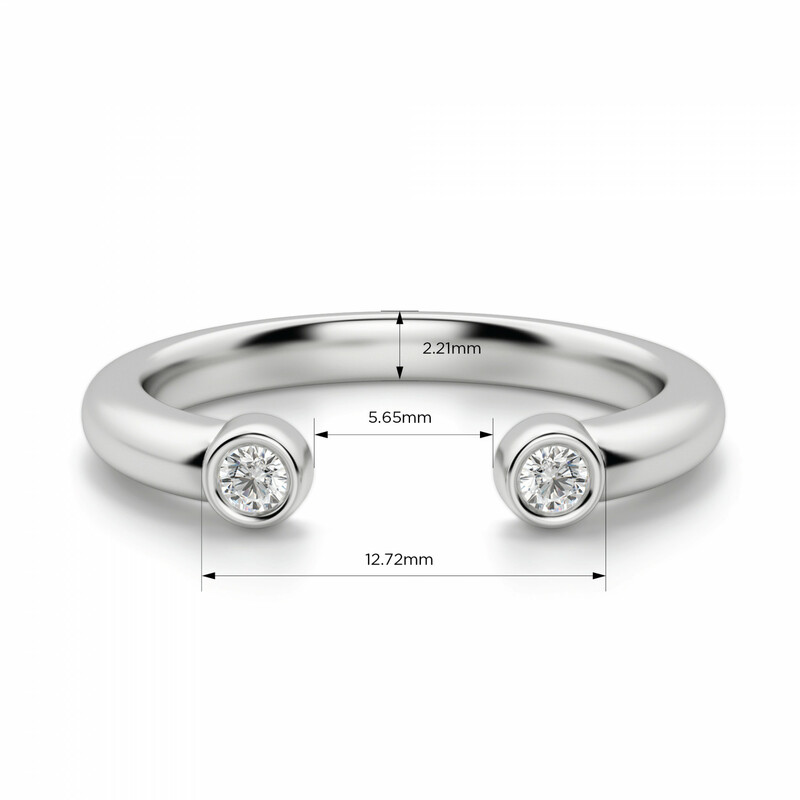 Quest Wedding Band was added to your cart. One of our most unique and unusual band designs. Two Round Brilliant cut Nexus Diamond alternatives in bezel settings form the focal point of this nesting band. The unconnected band style is modern and trendy. 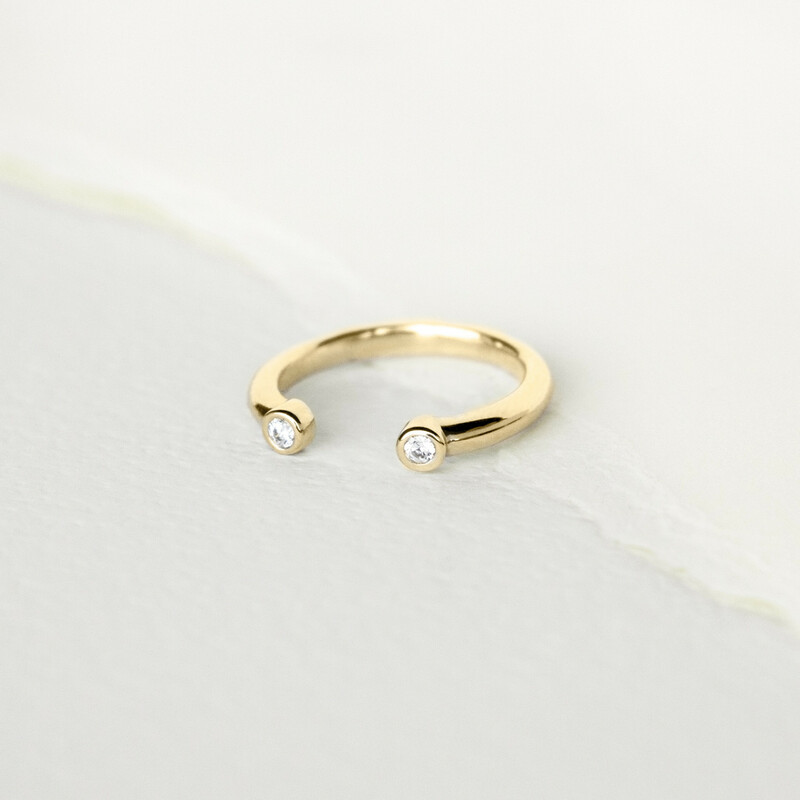 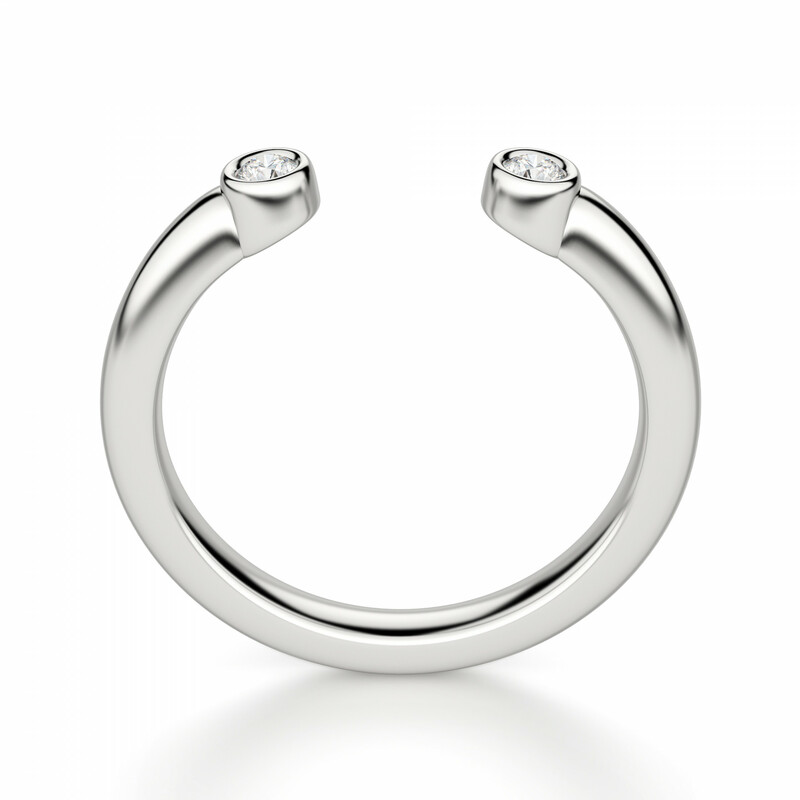 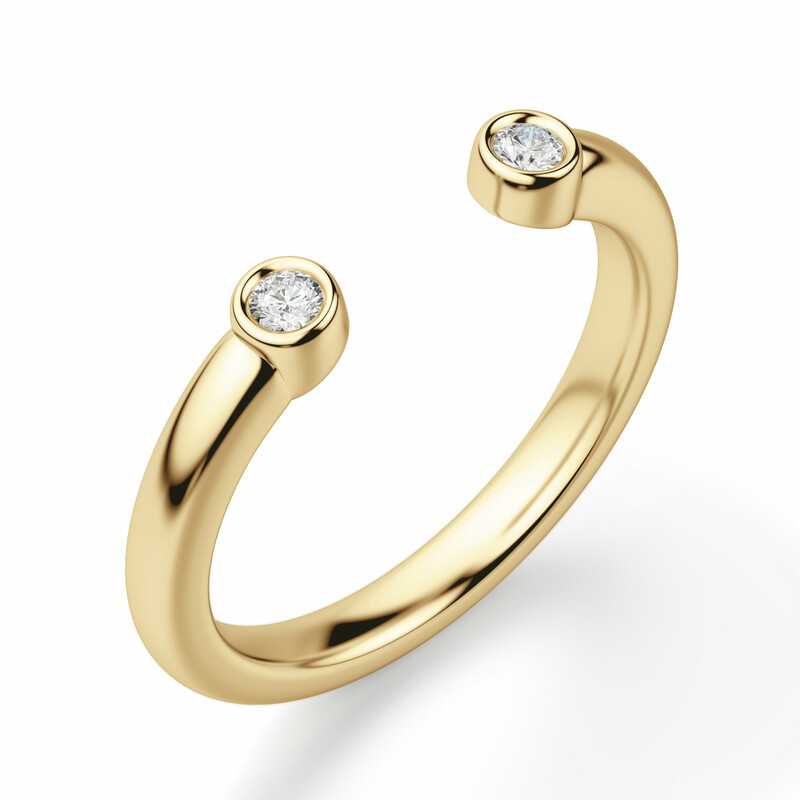 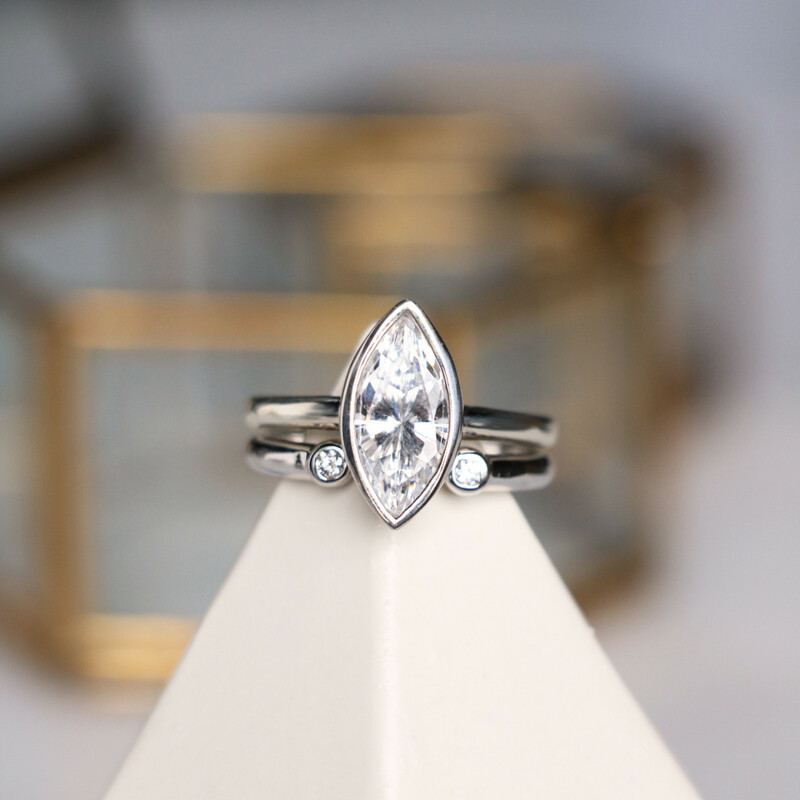 Wear it alone as a statement piece, stacked with other bands or as a nesting band with your engagement ring. 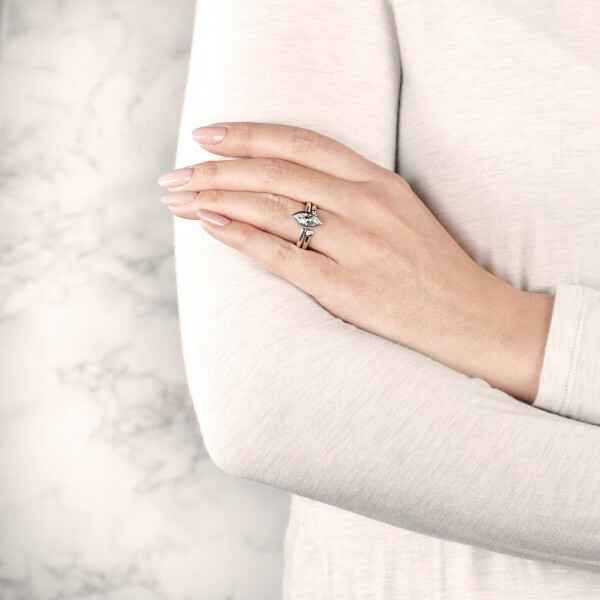 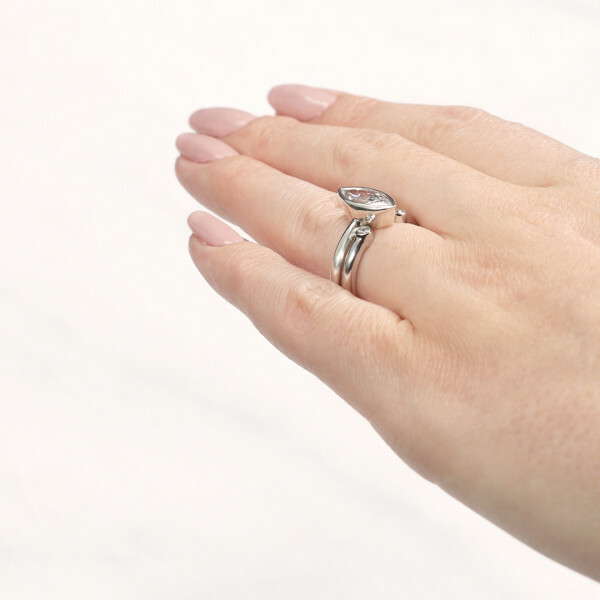 For more ways to wear this band, see our recommended ring pairings.